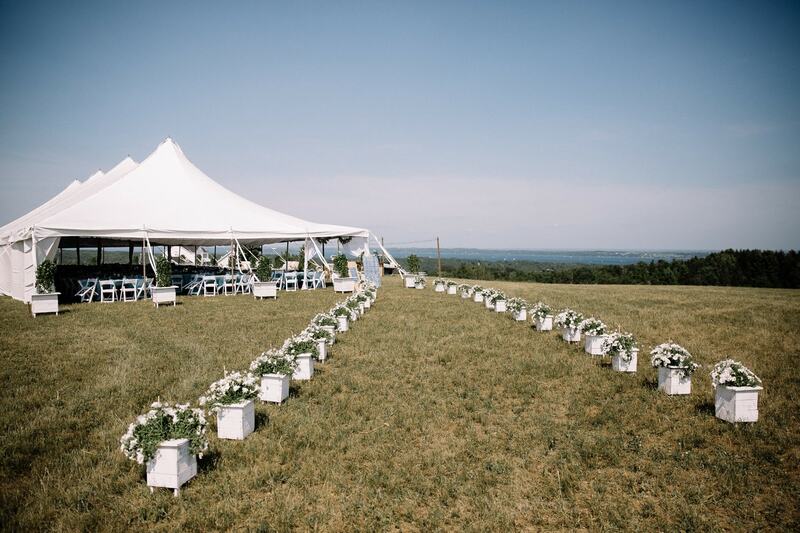 Bay View Weddings at Gallagher Farms sits on a hill, rising almost 1,000 feet, overlooking Grand Traverse Bay. 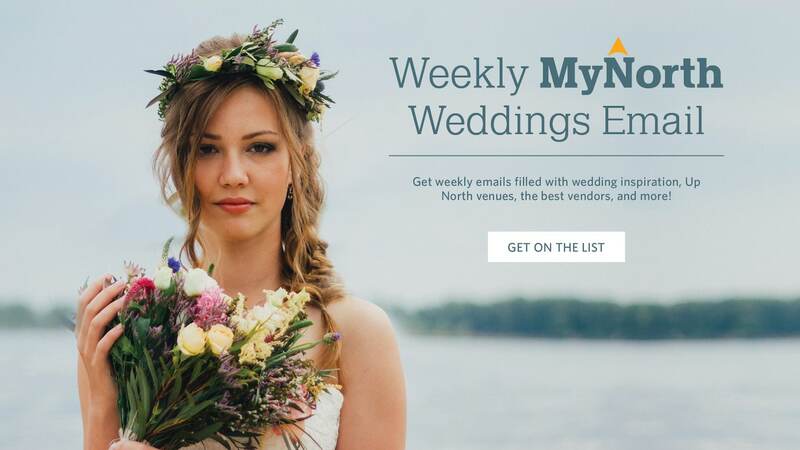 See photos from the new Traverse City wedding venue. 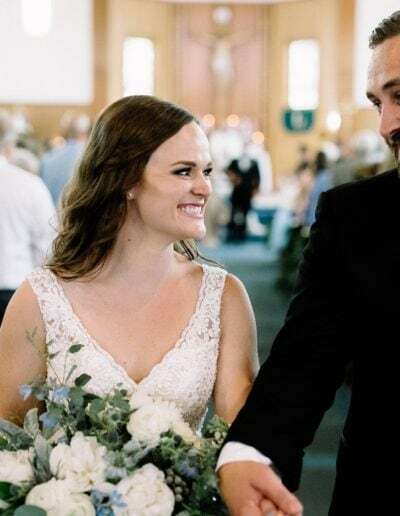 Dani and Gabe started dating in high school, so, seven years later when they were still a couple, Gabe says, “It was about time!” to get married. Dani might have known a proposal was in the works, but she had one request of Gabe: that she be surprised. 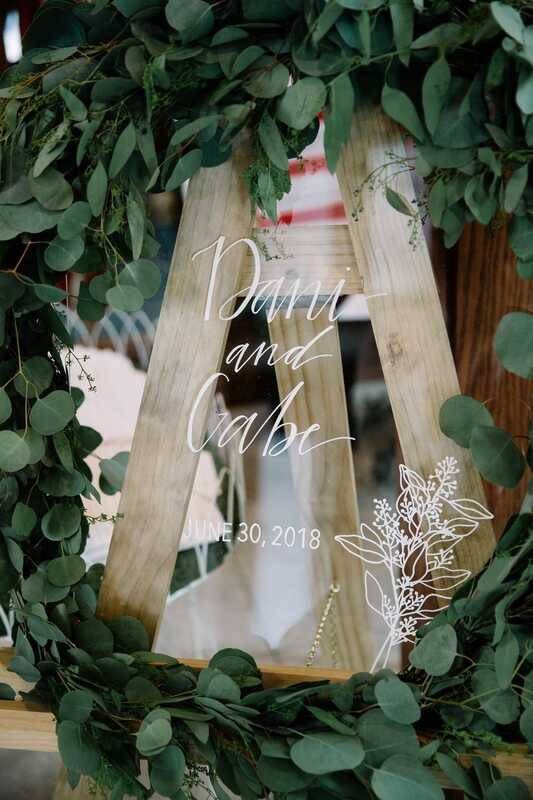 The couple was moving from Michigan to Iowa where Gabe was going to school so that Dani could take a job as product engineer at HNI Corporation, an office furniture manufacturer. 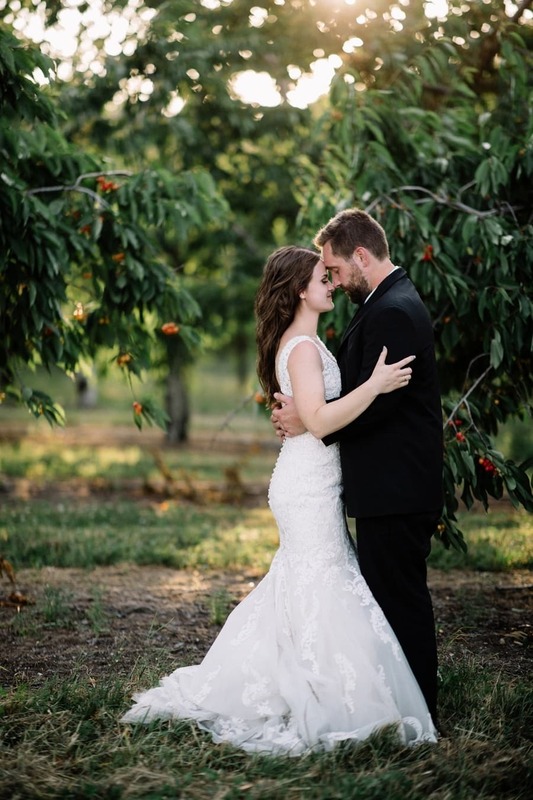 Before they left, Gabe told her he’d ordered a ring and it would be delivered to her parents’ house. They’d bring it when they made their first visit. Then he’d figure out a way to surprise her with it. Slick guy that he is, Gabe had the ring sent to Iowa—and as they were waiting for her parents to arrive on their first visit he put on romantic music, got down on one knee and pulled out the ring. She was so busy asking how he pulled it off she almost forgot to say, “yes,”—for at least a minute. 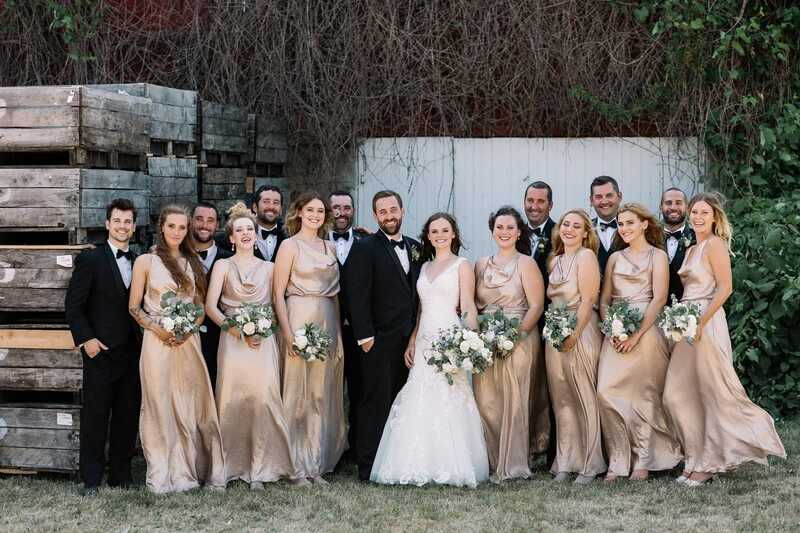 There was never any doubt that the wedding would be in the Traverse/Leelanau area where they were both raised. 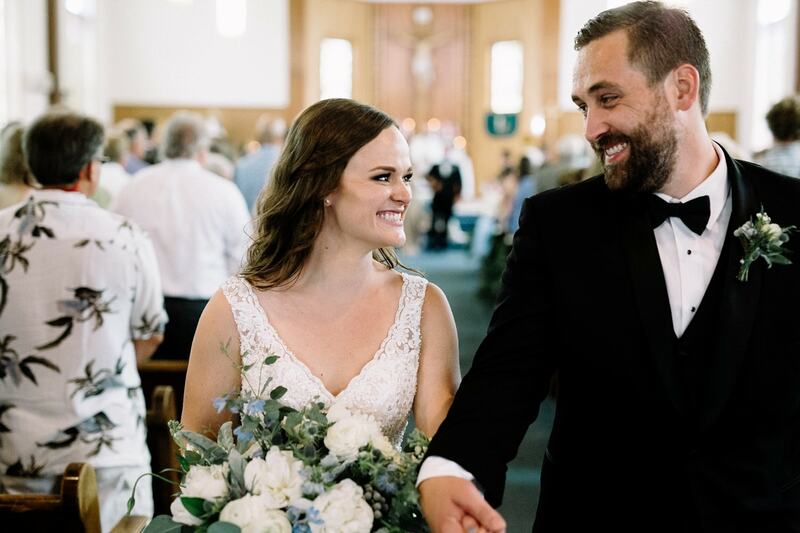 Both Dani and Gabe attended St. Francis High School but they also had a number of friends and family from Leelanau St. Mary’s High School. 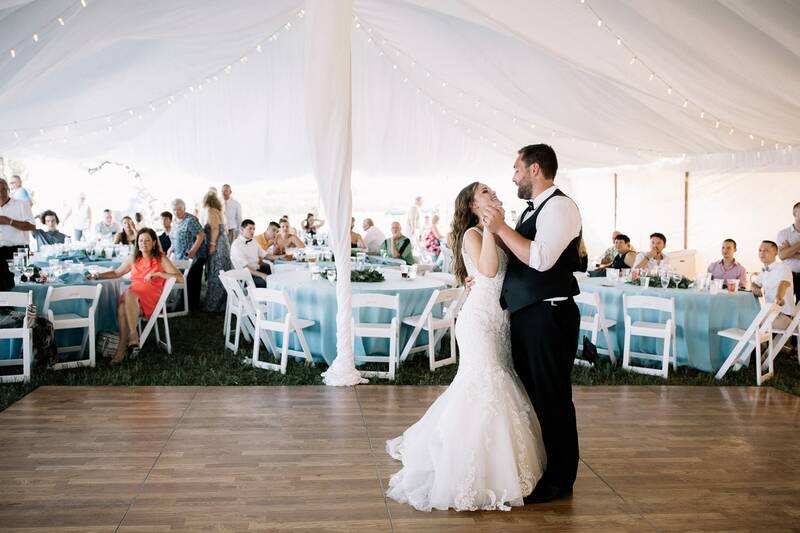 After deciding on the quaint country church of St. Mary’s in Lake Leelanau for their ceremony, they decided that a tented reception at the stunning new Bay View Weddings at Gallagher Farms would be the perfect complement. Surrounded by cherry orchards, the site rises nearly a thousand feet over the surrounding countryside, East and West Grand Traverse Bay shorelines and Power Island. The wedding day arrived warm with a bright blue sky. 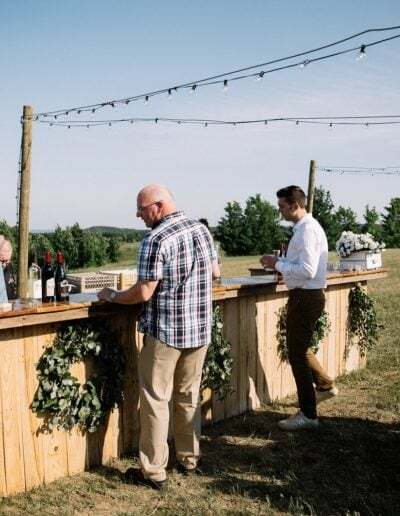 The drive (aboard Blue Lakes By the Bay party bus) on country roads flanked by vineyards and cherry orchards from Lake Leelanau to Bay View Weddings was postcard beautiful. Imagine their delight when soon after they’d arrived Michigan State’s “Sparty,” showed up to help kick off the reception. 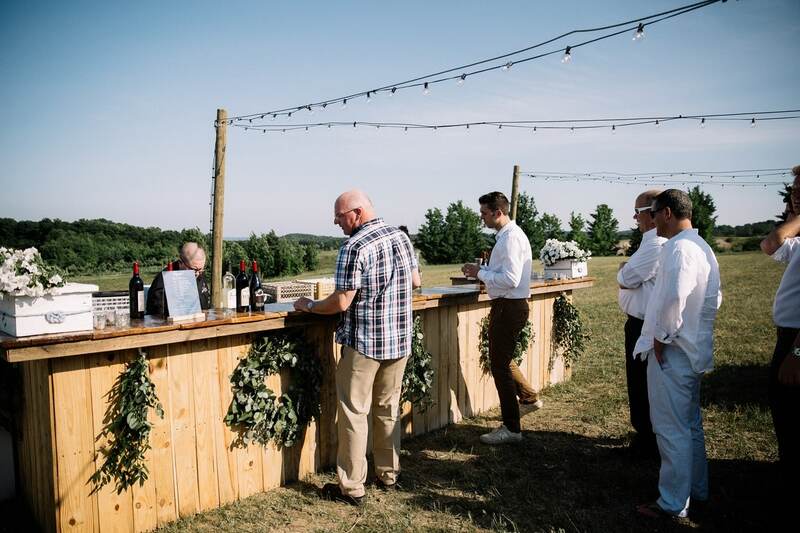 The Traverse City wedding venue offers either carriage or tractor rides up the winding drive to the Bay View Hill Top reception area. 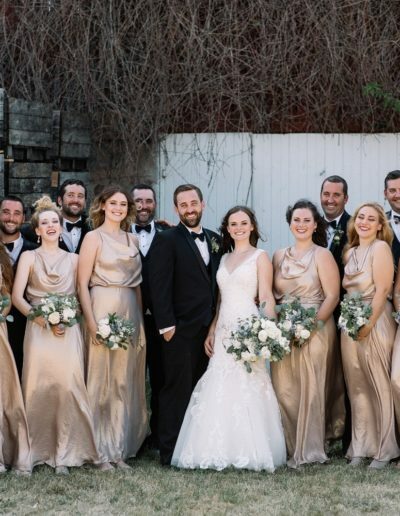 The newlyweds chose a hayride for their riotous wedding party of 14 bridesmaids and groomsmen—and Sparty jumped on with them. It was a good time. Understatement. “At one point I thought a suit would rip … there were cherries thrown,” says Dani. 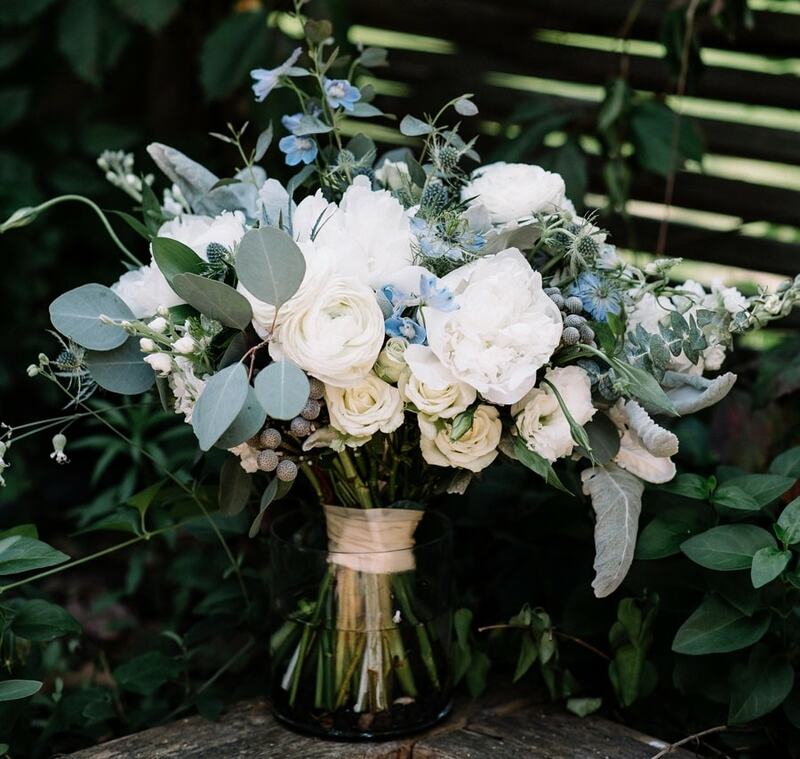 When they arrived, the tent—large enough to seat the couples’ 250 guests—was perfectly set up with the soft blue palette Dani had requested for her tables and floral arrangements. The family-style dinner catered by Grandview Catering featured braised beef with rosemary glaze, roasted baby potatoes and chicken stuffed with prosciutto and spinach and covered in vodka cream sauce. In keeping with the Gallagher Farms’ theme, the dessert table popped with cherry treats. 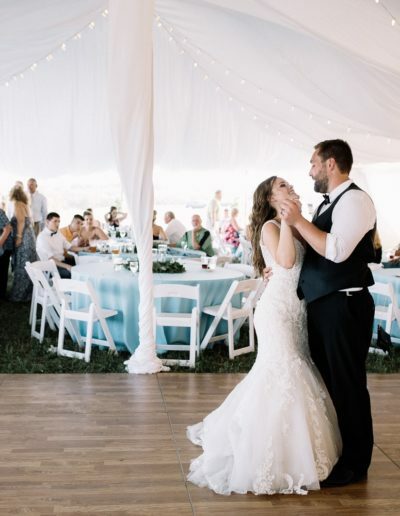 As the newlyweds finished their first dance to Then by Brad Paisley, one of the many blessings of being married in this stunning setting was being painted across the sky—the fiery-hued sunset over Grand Traverse Bay. Dani and Gabe stole away from the party to enjoy the moment together.